Snipe is a new nano quadrotor UAS developed by AeroVironment. Snipe UAS can operate at a speed of more than 35km/h. The Snipe unmanned aircraft system weighs 140g (4.9oz). The latest tactical unmanned aircraft system (UAS) introduced by AeroVironment, the Snipe Nano quadrotor is intended for close-range intelligence, surveillance and reconnaissance (ISR) missions. The first batch of 20 Snipe Nano unmanned systems were delivered to a US Government customer in April 2017. The Snipe UAS leverages the advanced nano unmanned technologies developed by AeroVironment for the globally recognised Hummingbird nano air vehicle (NAV). The compact dimensions ensure the UAS to be worn by operator for quick deployment. Snipe is designed to operate in challenging and rough environmental conditions. It is of simple construction with just five moving parts. It requires no assembly and can be repaired on field without the need for any specialised tools. The Snipe quadrotor is a 140g (4.9oz) stealth platform, and the compact dimensions make it ideal for operations in confined spaces. The forward section of the body integrates electro-optical/infrared (EO/IR) and low-light-capable and long-wave infrared (LWIR) sensors. The payloads are housed in an integrated tilt mechanism. The EO/IR sensors aboard the UAS enable the transmission of high-resolution images and real-time videos during day and night. The integrated ultra-high frequency (UHF) radio ensures superior non-line-of-sight (NLOS) operation. The payload aboard the UAS provides improved situational awareness for the warfighters to perform mission planning and execution to achieve their mission objectives. 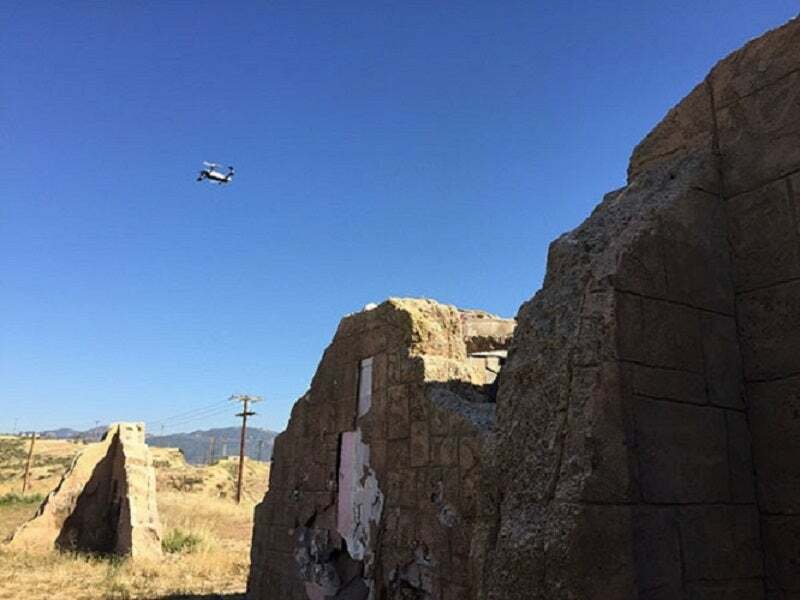 The Snipe UAS requires no preparation and can be airborne in less than 60s, offering dismounted troops a quick wide-area tactical surveillance over the wall, down the path and around the hill. The system has the capability to safely return to home automatically in the event of radio link disconnection. The unmanned system is operated with an intuitive touchscreen tablet controller. The ruggedised tablet complies with the Military Standard (MIL-STD) 810 guidelines. It uses Windows 7 and can be controlled manually or programmed for global positioning system (GPS) waypoint autonomous navigation. The operator requires only four hours of training to manoeuvre the UAV. The Snipe Nano quadcopter can fly at a speed of more than 35km/h (22mi/h). The vehicle creates very less noise, which is virtually inaudible at 100ft above ground level (AGL). The low-noise operation makes it suitable for short-range covert operations where the information collected directly affects the safety of the operators. The UAS is equipped with four electric motors powered by replaceable batteries, ensuring more than 15 minutes of endurance. The unmanned aircraft can be operated remotely from a maximum range of more than 1,000m. The UAS is capable of performing tasks in temperatures ranging between -32°C and 49°C, and can conduct operations in rough environmental conditions, including winds of 24km/h (15mph) with gusts up to 32km/h (20mph). The lightweight Snipe system enables soldiers to wear it on their body without interference with their existing tactical equipment. It can be easily stowed into a hard-shell case.